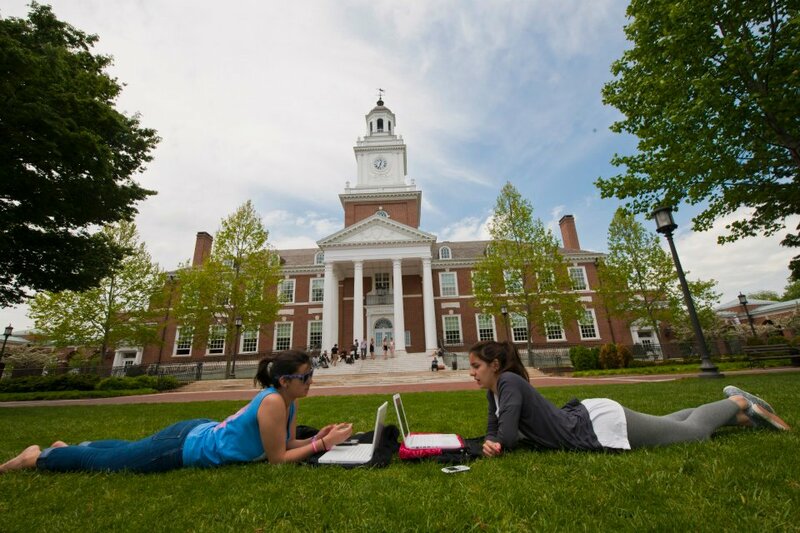 Johns Hopkins University is located in the culturally rich and diverse city of Baltimore, Maryland in close proximity to Washington D.C. More than 5,000 undergraduates and close to 2,000 grads attend classes on the beautiful Homewood campus. Hopkins has a high academic reputation, often cited as one of the “new ivies” with state of the art facilities and one of the best medical schools in the country. The several blocks around Charles Village anchored by St. Paul Street between 31st and 34th Street serve as a campus neighborhood, if not quite a college town, with the bookstore, coffee shops and various restaurants all within walking distance of campus. Transportation: The Baltimore-Washington International Airport (BWI) is the closest airport (20 minutes) to the JHU campuses. Ronald Reagan Washington National Airport (DCA) in Washington, D.C., is convenient for domestic flights. It is located approximately 1 hour from downtown Baltimore. Amtrak is a great way to travel throughout the Northeast Corridor. The closest Amtrak Station in Baltimore to Johns Hopkins is Penn Station. In Washington, DC the closest Amtrak station is Union Station. Stay: Doubletree’s Inn at the Colonnade is the closest hotel to Hopkins, located directly across from campus. Also in the area, The Radisson at Cross Keys offers a free shuttle service to JHU. It’s touristy but fun to stay in Baltimore's Inner Harbor just 15 minutes from campus. The Four Seasons is an elegant stay right on the waterfront. Next door the rates are gentler at the Marriott Inner Harbor or nearby at the Sheraton Inner Harbor Hotel. Everyone’s talking about the brand new refurb of the Sagamore Pendry Baltimore Hotel in Baltimore’s most historic neighborhood--the newly hot, gentrifying Fells Point, close to the Inner Harbor. With a harbor side infinity pool, the Rec Pier Chop House from famed NY Chef Andrew Carmellini and The Cannon Room Whiskey Bar you might want to extend your trip for a day or two. Coffee: On campus join students and professors grabbing early morning cappuccinos and light bites at Daily Grind in the Brody Learning Commons, adjacent to the Sheridan Libraries. Another convenient spot is Levering Cafe located on the first floor of Levering Hall, also close to the Admissions Office. Starbucks has two nearby locations, one on St. Paul Street and another in the Barnes and Noble School Bookstore. All Day Dining: Bird in Hand is a communal café; a Café and Bookstore right in Charles Village across from campus, from Spike Gjerde of Woodberry Kitchen fame. Early morning students and locals come for Counter Culture Coffee and top notch pastries and bread. Breakfast fare includes savory bowls, breakfast sandwiches, cereals and toasts. At lunchtime salads, sandwiches, and noodle bowls are the draw. There are ample outdoor seats to linger on a nice day. Home also to The Ivy Bookstore, the café hosts frequent well-known author readings and book launchings. Breakfast: If you want to be "wowed," Miss Shirley's delivers with a traditional Southern menu of down-home cooking. Must-orders include the monkey bread and chicken and waffles. There are two locations within driving distance of Hopkins, the Roland Park flagship and one in the Inner Harbor. The Paper Moon Diner, a Baltimore institution serves breakfast all day in an over the top room decorated with a vast toy collection, quirky and fun and just a short drive from campus. The diner food is solid, but it’s truly an experience—your kids will love it! Lunch: Looking for a quick bite, head to the Levering Kitchens on the bottom floor of Levering Hall. Also on the Homewood campus, Alkimia’s in Gilman Hall and Azafran in the Robert Muller Building, home to the Space Telescope Science Institute, are buzzy with students, professors, and researchers enjoying soups and salads with an international flair. Eat where the students do, on St. Paul Street, just one block from campus to get a real feel for daily campus life. Here you’ll find the usual quick college town kind of places serving pizza and burgers with chains like Subway and Chipotle and local fixture Eddie's Market, for personalized takeaway sandwiches. Student favorites include Carma's Cafe, a funky, bohemian spot, PekoPeko for ramen and rice bowls, and Honeygrow for healthy salads. One parent who just got back from touring turned us on to R. House, a chef-driven food hall with everything from tacos to Korean bbq to Mediterranean street food. On a recent visit, we stopped by to check out what’s quickly becoming a community hang out thanks to the cool industrial vibe and excellent indoor/outdoor spaces; it’s less than a mile from Hopkins and perfect for after your tour. In nearby Roland Park, Johnny's is always crowded with a menu heavy on seafood showcasing local and seasonal ingredients. Casual: Close to campus in nearby Hampden head to The Food Market for updated, elevated comfort food. Brooklyn’s Paulie Gees was big news when it opened in Hampden in 2016 with what some say is the best pizza in Baltimore. Others argue that Matthew’s Pizzeria, the oldest in Baltimore dating back to 1943 deserves that title, with a must try crab pizza topped with naturally old bay seasoning. Thames Street Oyster House serves outstanding seafood, a Baltimore classic with water views in Fells Point. Nearby, head to Pierpoint for inventive Maryland cuisine, the smoked crab cake is a must order. Other good choices in Fells Point are Bond Street Social, Kooper’s Tavern, and Ampersea. Little Italy’s most recognized restaurants include Aldo’s Italian Restaurant, Café Gia, and Amicci’s. A Step Up: One of Baltimore’s absolute best restaurants, book a table at Woodberry Kitchen. The location in a beautiful brick building matches the quality of the seasonal food, sourced locally and earning comparisons to Alice Waters Chez Panisse by Washington Post’s restaurant critic Tom Sietsema—high praise indeed! Ouzo Bay is a pretty spot for upscale Greek food if you’re staying in the Inner Harbor. Tagliata, an Italian Steakhouse, also in the Inner Harbor, has quickly become one of locals’ favorite tables. Staying in Fells Point? In addition to the previously mentioned Rec Pier Chop House, dine on Venezuelan fare at Alma Cocina, or stellar Argentinian classics at Bar Vasquez. We hear excellent reviews of Gunther & Co in Canton. After a quick look at the creative menu, it's now on the top of our list for next time we’re in Baltimore. Sweets: It’s worth the 5-minute drive for ice cream at The Charmery, paying homage to Baltimore with flavors such as Maryland Mud, Old Bay Caramel and Day at The Yard. Open until 10 pm during the week and 11 pm on Friday and Saturday. Local Attractions: Adjacent to the Hopkins campus, allow a few hours to wander the collection, ranging from contemporary to classic, at the Baltimore Museum of Art. The museum’s restaurant Gertrude’s is a lovely place for lunch, it’s especially enticing on a warm day with ample outdoor seating overlooking the sculpture garden. Unlike any other museum you’ve probably been to, the much praised, American Visionary Art Museum, is a compelling and fascinating multi-building complex showcasing outsider art at the foot of Federal Hill. Encantada, in the museum, is known to serve very good food if you want to time your visit to coincide with lunch. Don’t miss the fantastic gift store filled with an eclectic mix of goods, and you wouldn’t expect anything less at this unique, must visit Baltimore treasure. The Walters Art Museum is another of the city’s world-class art museums in the Mount Vernon neighborhood. Depending on the season, try and attend a baseball game at nearby Camden Yards, one of the best stadiums in the US. Wander the Inner Harbor and be sure to check out the world famous Aquarium, especially if you’ve dragged younger siblings along on the tour. Hungry? Who doesn’t love a good food market and Lexington Market is a landmark, our nation’s oldest public market at 236 years old. There is so much to do around campus and even more to do in the city of Baltimore! Being so close to D.C. there are endless opportunities for internships and jobs—all just a train ride away! Hopkins is one of the top schools for research programs, everyone I know has done some research either on campus or in Baltimore or D.C.
The Humanities program is considered one of the best in the country, yet I still feel isolated at times not being a medical or international studies major. Just toured the Johns Hopkins Campus? 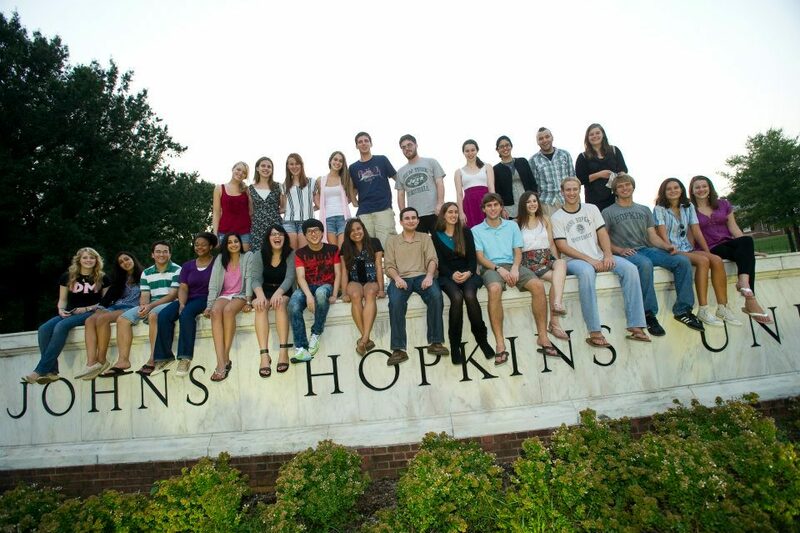 Are you a Johns Hopkins student, parent or Alumni? 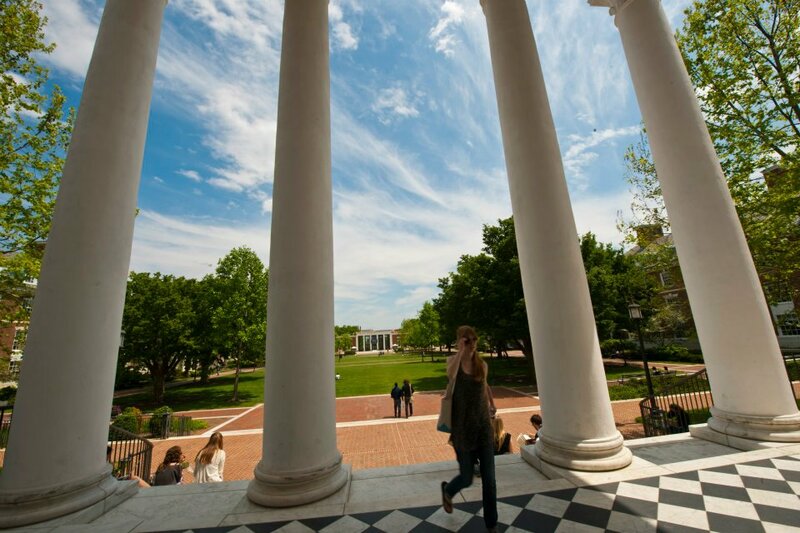 Fill out this 2 minute survey to supplement our Daytripper University Guide for Johns Hopkins!